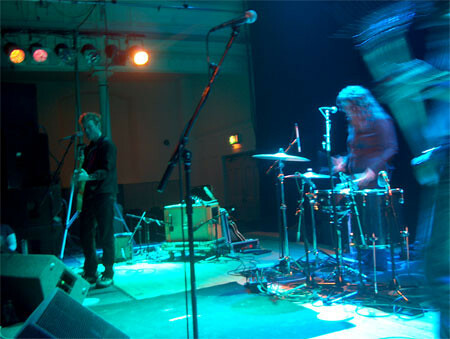 Low Live at Queens Hall Edinburgh, originally uploaded by alister. From Duluth USA, came Low to the suitably sacred atmosphere of the Queen's Hall in Edinburgh. Their crowd was possibly the politest I have ever come across. I bump into someone whilst trying to get a good photo angle. They apologise and move out of the way. People who had camped out at the front give up their places so that shorter people can get a better view. Nice, no beer thrown, bring the family. Highlights for me were 'over the ocean' and I liked 'monkey' from their new album (cute promo featuring this track here). 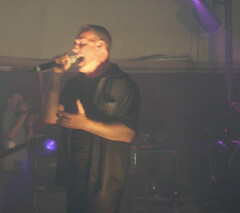 More Photos of Low in Edinburgh from me. Only Good comes from Duluth, well Bob Dylan at least!